wHat OthErs SaY abOUt Us ?? I visited Sungei Lembing on last May with my friend. It was a wonderful experience. We visited rainbow waterfall and panorama hill. Mr and Mrs Hoh were awesome! 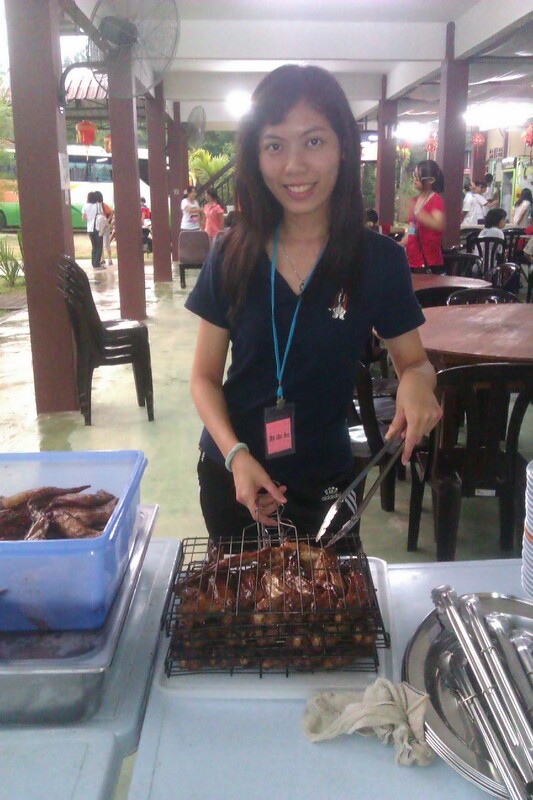 They prepared a sumptuous bbq dinner and drove us to the town bus stop to wait for bus back to Kuantan bus terminal. Thank you, Mr Yap for teaching us how to light the kong ming lantern and fireworks. And you know what, I will be going back again tomorrow! Can't wait to visit you all again. Yeah! Never expect SL will have such a luxurous resort, the boss and the staff are all friendly and make me feel welcome! I think they can suggest toursite to the tin mines also, coz its a new wonder to me, i think its same for the others too! The jagung is nice! me and my roommate wonder if the papaya that we ate is plant themselve? memory for the group with your presence. Looking forward to our next trip again soon! The food that was prepared by Mr. Hoh and team was great! I love the BBQ wings and also the salad! Not forgetting Mr. Yap! The skilful driver who drove us in his 4 wheel up to the waterfall. Rocky journey but we were all safely up and safely down. Overall, it was a great experience and we have got a great hospitality from the team! Thumbs up!! Will definitely be back! Thanks for all the review and feedback given. Happy new year 2013, and we will keep improving ourselves and try to suit all the guest needs. To all of the LRR staffs, First of all would like to thanks a lot to Mr. Hor and his loved Wife, who provide us a warming, hospitality and awesome accommodation as well as the delicious BBQ meal, especially the roasted chicken wing, lamb, fish etc. At the same time also appreciated the time sharing with us on your stories, country big news, interesting topics for the whole night, which benefits us a lot! What was let us feeling most warming was speaking our local dialect – Hakka. :> Moreover, the rainbow waterfall adventure also unforgettable among of us. Thanks to Mr. Yap and our 4x4 tour driver. It was quite special having the Maggie me and Milo front of the rainbow waterfall. Although the rainbow was not beauty enough for this time, but it is considered a quite amazing and most beautiful scene for us. Last but not least, Sg. Lembing really a paradise in our country – Malaysia. Hopefully this piece of Pure Land would be damaged in the future time. For the time being, Lembing River Resort and Sg. Lembing are no doubt the first priority recommendation to our friends. Indeed we are so blessed to have experience one of the most magical moment of our lives. Imagine having the whole rainbow-waterfall to the 12 of us! and the breath-taking sunrise-view at the Panaroma Hill!) The simplicity and warm hospitality of this resort is a perfect getaway for us all to destress and unwind. We are so blessed to have meet Mrs Hoh and her assistants, who is always there to render their first-class service. Our greatest appreciation and thank-you all for making our holiday so memorable and we will definitely be there again! I highly recommend this resort to everyone, who is looking for an awesome holiday! Highly recommended & thumbs up resort! The resort owner Mr. & Mrs. Hoh - friendly, helpful, and chatty to show us around the local delight of Sungai Lembing. The wall designed painted from the owner's daughter creative ideas make the whole resort so outstanding. Room - simple, clean and neat! 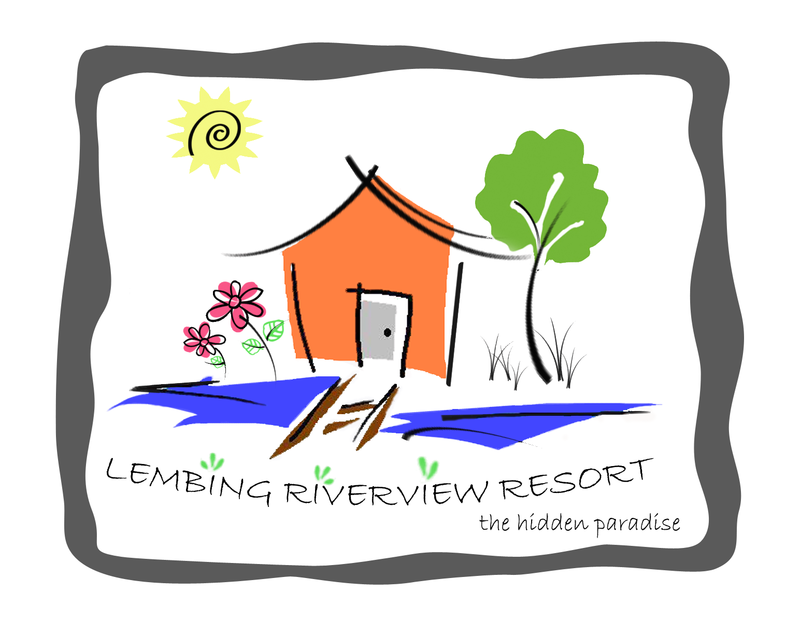 our 3 days 2 nights stayed at Lembing riverview resort left us a so sweet memory. Though we didnt make it to signature spot - Rainbow falls due to rain. We will definately go back for rainbow falls again for sure! Thank you Mr. & Mrs. Hoh for your great hospitality & warmth welcome. Thank you everyone for the support! Anne, Great that you love it much! Xe Khai, maybe you can plan for a trip and stay here. Keegan, Plan for next reunion here again? Jelly, Thank you! Louis, great that you love it much! WE ARE in the processing building more and more rooms to accommodate everyone of you. Stay tune! Nice place to visit,hang up and stay.Franly, u will never regret to put up not even one nite here. Strongly recommend to others.......haha! most impressive was that 'old Rambutan tree' have a big 'hole' for those sleepless fren to whisper and talk to that 'hole' .....Mr. Hoh ~ hoh say neh! this is the best resort i had ever stay. It's very clean,beautiful n nice. N the owner is very very friendly. Alot of activities can be done here. Eg. volleyball, bbq, fishing, playing in the river n much more.. n even karaoke. I highly recommend this resort when u go to sg. lembing for trip. Hidden Paradise, ROCKS!!!!! Thus I strongly recommend it to your guys! The ever clean and comfort! !